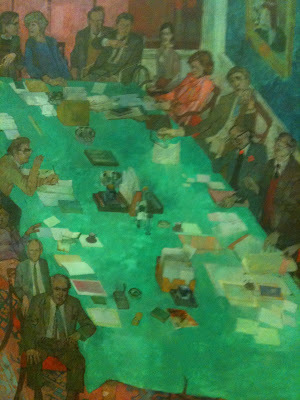 The Meeting, Royal Academy of Arts. 1979-84 by Leonard Rosoman. 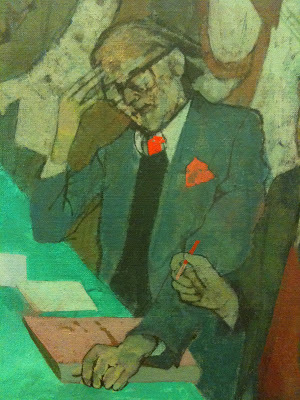 Exhibited at the National Portrait Gallery. It's always nice to have your attention brought to something that a friend thinks you will like... especially when they get it right. 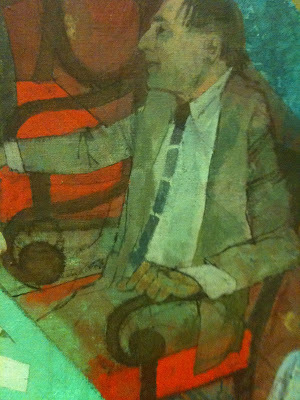 Leonard's work above and in the post below is a wonderful find - particularly these vivid colours. Thanks Sam. Rosoman studied at the Royal Academy and the Central School of Art. He was appointed official war artist to the Admiralty between 1943 and 1945, and became a Royal Academician in 1970.